Many homeowners encounter problems with their heating or cooling system when they need it most – in the dead of winter or during the worst summer heat. It can be a stressful situation if you don’t know where to turn, and for most people, attempting any repairs on your own can be highly dangerous without professional training and experience. As the leading HVAC contractor in Jackson and surrounding areas, the team from Jackson Hardware Heating & Air Conditioning is here for you! The HVAC (Heating, Ventilation, and Air Conditioning) system is one of the most important systems in your home, not only controlling interior temperatures but also ensuring good air quality. The key to keeping the system operating at its full capacity is regular maintenance as well as repair or replacement in a timely manner. When you are moving into a new home and installing a new HVAC system, it is critical to choose a unit that fits your home and family’s distinct needs, including budget and the size of your home. Although the selection process may seem daunting, our specialists will be with you every step of the way to help you make a well-educated decision. Take your time, ensure you make the right decision for yourself. Remember that your purchase is a 15-20-year investment in your home. Our HVAC installers take pride in what they do. They ensure the job is done right the first time. Before installing your equipment, our HVAC technicians will go over the procedure with you and explain where the new lines will be installed and where the new equipment will be placed. Our HVAC technicians are continuously expanding their knowledge and will answer any questions you may have. Our HVAC techs will evaluate your home and provide a customized plan designed specifically for you. We will size your ductwork and equipment based on the details of your home. When you have our expert HVAC technicians helping you make an educated decision, you’re going to feel comfortable with your purchase. When your HVAC system appears to malfunction – no matter how minor the signs may be – it can have adverse effects on the comfort level in your home. Like many household emergencies, this is a situation that requires a swift response and correct diagnosis - the first time - in order to minimize your discomfort and prevent future complications. When you’re ready to replace a flawed or outdated heating or cooling unit, it pays to hire a HVAC company with a proven record of customer satisfaction – a company you can count on to get it right the first time. It is our job to take care of all relevant connections, including the voltage, gas and drain lines. As an additional courtesy for our valued customers, we also haul away the old unit and dispose of it properly. Our team of skilled and experienced service technicians are dedicated to delivering a hassle-free experience, no matter what type of HVAC service or maintenance you need. Did you know timely upgrades and the proper functioning of your HVAC system could ultimately cut your energy bills in half? It’s true. There are numerous ways to save money without compromising the comfort levels in your home. Check out our online specials page for HVAC discounts and rebates - see how you can save! 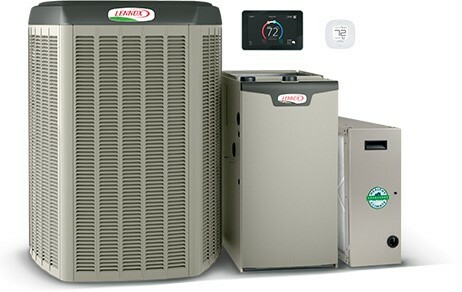 We offer 24-hour service on all brands of heating and cooling products. Whether you need emergency service in the dead of night, early morning or on a weekend – just call us at (262) 677-3477. To learn about your home’s heating and cooling system or get answers to your questions, contact Jackson Hardware Heating & Air Conditioning and speak with your HVAC contractor in Jackson, Grafton, Cedarburg, Mequon, and West Bend, WI. Simply dial (262) 677-3477 or fill out our convenient online form below.